City Hall plans to more aggressively oversee construction sites starting in January amid concerns that the work along Main Street has been overwhelming. 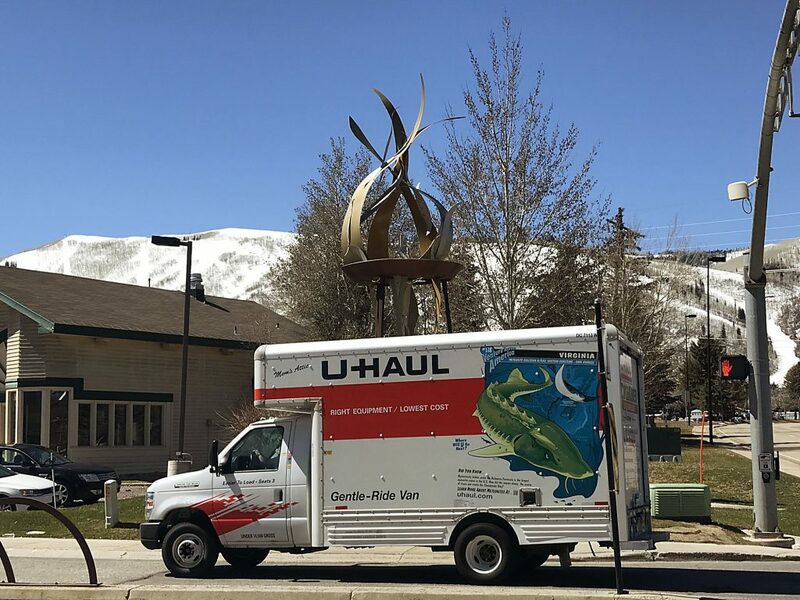 The Park City Building Department will tightly enforce what are known as construction-mitigation plans citywide, the chief building official, Chad Root, said in an interview on Monday. Construction-mitigation plans outline steps the crews building a project will take to lessen the impact on the surroundings. The plans can include a wide range of restrictions. 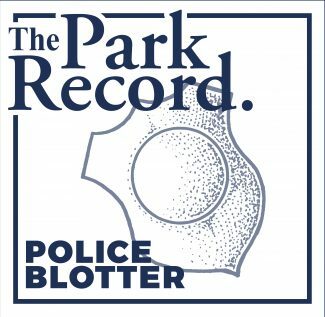 The citywide enforcement comes as there have been complaints about Main Street more than other commercial areas or neighborhoods. The private sector in 2013 invested heavily in Main Street buildings and there are large and small construction sites up and down the street. restrictions on some cranes along Main Street. Root said officials will consider requiring crews to install a crane within the structure that is under construction if the crane is required to be on the site more than 14 days within a 180-day period. Doing so would put the crane on private property rather than on public space like a sidewalk, parking spaces on the street or the street itself. requiring that Main Street sidewalks remain open at all times during a construction project. That could be accomplished, Root said, buy ordering construction crews to build covered wooden walkways while construction is occurring overhead. additional restrictions on parking construction vehicles on Main Street. Root said City Hall could require construction crews to park elsewhere and shuttle the workers to the sites on Main Street. 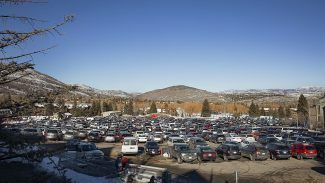 Root said the restrictions could be put in place as early as January, depending on support from the Park City Council. The elected officials are scheduled to discuss the topic at a meeting on Thursday. The meeting starts at 5 p.m. A hearing is not scheduled, but Mayor Dana Williams oftentimes offers the public an opportunity to provide input anyway. In a report submitted to the elected officials in anticipation of the Thursday meeting, Jonathan Weidenhamer, who directs City Hall’s economic development programs, acknowledged the issues. Weidenhamer is heavily involved in City Hall policies that affect Main Street. "We believe the development community has been given a bit too much leeway and the pendulum needs to swing back closer to center," he said in the report. The report also said "there may be push back from the development community" and that the additional oversight "will cost developers money that they hadn’t anticipated spending." Root said there have been complaints recently about the impact of the construction sites on Main Street, including that businesses are losing customers. It is believed that construction activity along Main Street is at one of its highest levels ever. There are major projects like the renovations of the building widely known as the Main Street Mall and the building known as the Silver Queen Hotel. There are a series of smaller projects on and just off Main Street as well. the Silver Queen Hotel, where the crane will be removed through the festival. Sidewalks outside the hotel will be opened. 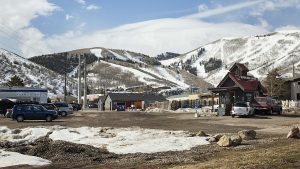 The crane will be permitted on some days after Sundance, but the report says "probably not to exceed two days at a time." the building at 692 Main St., which sits close to the Marriott Summit Watch, where the crane will be allowed to stay in place for Sundance. 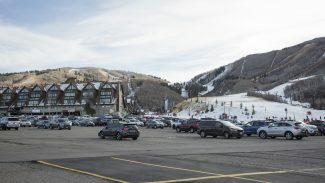 the plaza outside the Sky Lodge and Zoom, where the plaza is expected to be finished by Sundance. the construction site where the Main Street Mall once stood, where the "sidewalks may be open during Sundance," but it is still to be determined. The report also mentions the idea of banners being temporarily placed on the construction fences.